It’s the beginning of our 77th trimester here at Eagle Rock School and Professional Development Center and our students are already well entrenched in furthering their education with meaningful classes — many promoting strong leadership and good citizenry in the world they will soon inherit. 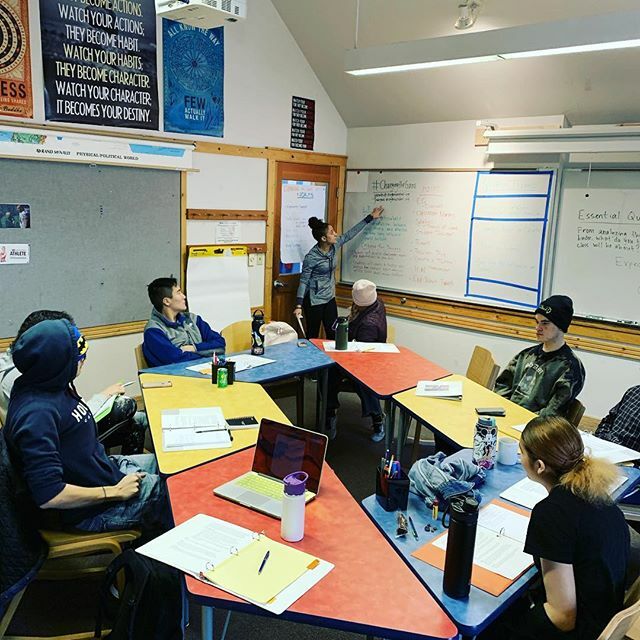 A rundown of those classes is offered below, but first, we’d like to give you some insight into how we plan for and assess educational progress here at Eagle Rock School. Only those students who complete all three sections of their ILP are eligible to graduate from Eagle Rock School. As for the Power Standards mentioned above, students are required to become proficient on the power standard assessment for each of the Five Expectations in order to graduate. These standardized graduation “musts” are value-based, grounded in academic rigor and consistency, and integrate a number of traditional disciplines. Power Standard achievement, for example, can be attained via successfully completing a select class offering, or could be accomplished through independent study projects. Students are required to meet “proficiency” on the Power Standard assessments for each of the 5 Expectations. Research 2: Rise of the Machines (10-week class): This morning time class, taught by Literacy & Literature Instructional Specialist Brett Youngerman and Tommy McAree (our 2018/2019 Public Allies Teaching Fellow In Literature & Literacy), offers a power standard in Leadership for Justice. Students in this class are learning how the decades-old blitzkrieg of advances in technology has affected the way we think, interact, and survive in this world. Students are exploring the rise of such technology, including the birth of the Internet, video games and virtual reality, and artificial intelligence that are projected to improve our lives. Each student enrolled in this class has selected a tech topic to explore and will write an academic paper about that topic before the end of this trimester. Music Theatre Intensive: Eagle Rock students enrolled in this class — which is also offered during our morning block of instruction — are in the process of creating their own musical theater production, complete with singing and acting with original songs and scenes. The class meets the power standard in Effective Communications and is taught by Music Instructional Specialist Meg Tokunaga-Scanlon and Miles Crabtree (our 2018/2019 Public Allies Teaching Fellow In Music). The production will teach new and advanced music students how to improve their performance skills. 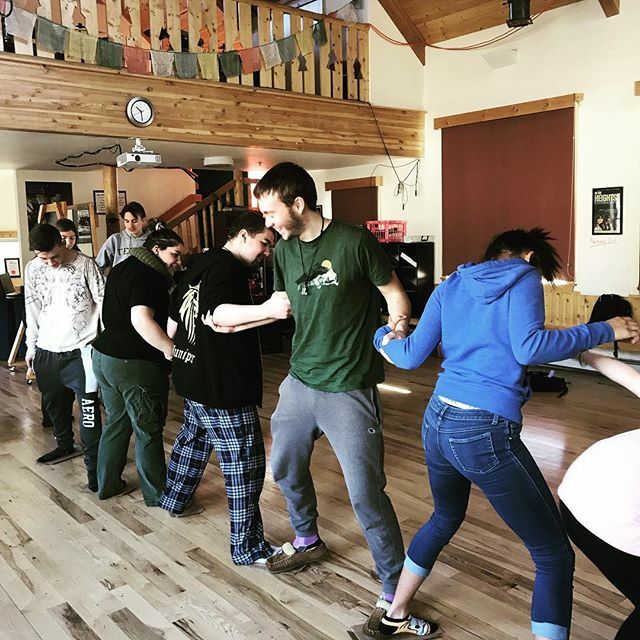 And, in addition to countless rehearsals and a performance in the fifth and final week of this class, students will attend professional theatrical performances in the area, work with professionals, and participate in a presentation for a campus-wide Enrichment Showcase at the end of the trimester. Changing the Game: There’s no question that gender roles, race, and power have held great influence over sports in the United States. In this class, students are examining what it means to be a coach in professional sports. With the help of instructors Josán Perales (World Languages Instructional Specialist and Instructional Coach) and 2018/2019 Public Allies Teaching Fellow In Human Performance Jocelyn Rodriguez, students are taking a close look at female coaches such as Becky Hammon of the San Antonio Spurs, who are breaking barriers by becoming coaches in the NBA, NFL, and MLB. Specifically, students are exploring the changes that have taken place in popular sports, and the social and political influences brought about by the sensational public trial of OJ Simpson, and the ways sports is impacted by race and power. Writing on the Wall: Arte, Libertad, e Identidad: In this afternoon class, students are learning that street art and murals can become the language of the people. Class participants are using English, Spanish, and visual language to learn how “writing on the wall” can become a vital form of education. Instructors Melissa Seehausen (2018/2019 Public Allies Teaching Fellow In Visual Arts) and Kim Tellez (2018/2019 Public Allies Teaching Fellow In Societies & Cultures) are challenging students to improve their Spanish skills with writing, reading, speaking and listening. And each Friday, students work on a mural for a public space on our campus that expresses what they’ve learned as a writer and artist — in Spanish. Gizmos and Gadgets: In this class, which takes place in the afternoons in our on-campus Science Lab, students are creating complex Rube Goldberg-inspired machines with the assistance of Science Instructional Specialist Sara Benge and Zach Greimann (our 2018/2019 Public Allies Teaching Fellow In Math). These gadgets — each designed to trigger a chain reaction among everyday items to complete a task — are actually devices that teach students the physics of force, energy, design and creativity. The end result is learning how to think, plan and act like an engineer or physicist. Glass Class “Vetro Colorato”: This class is designed to teach students how to combine geometry, world history, and art in order to create glass artwork. Art Instructional Specialist Cindy Elkins — who uses interior and exterior angles, tessellations, and geometry to create stained glass, hot glass torch work, and painted glass upcycled items — is teaching this afternoon class, which is offered in our on-campus Ceramics Studio. This class offers students the opportunity to learn and explore how art, history, and math co-mingle in the development of beautiful glass artifacts. Helping student deconstruct the meaning of rap lyrics like this one, is the opportunity facing instructors Jocelyn Rodriguez and Tommy McAree (our 2018/2019 Public Allies Teaching Fellow In Literature & Literacy) as they teach students the history of hip-hop. Beyond the understanding that the referenced line of rap contains a double entendre, internal rhyme, and alliteration, students are taking this new knowledge and tools and looking back on their own music experiences in order to weigh in on discussions of the appropriateness of explicit lyrics for children and to whom, exactly, hip-hop belongs? Wilderness ER 77: For our new students, Outdoor Education Instructional Specialist Eliza Kate Wicks-Arshack, Adjunct Outdoor Education Instructor Jack Bynum, and 2018/2019 Public Allies Teaching Fellow In Outdoor Education An Nguyen began the first week of school with four classes — ERS 101, Show Me the Love, Wilderness Prep, andEvening Gathering. These classes serve as an orientation for incoming students to Eagle Rock itself and our wilderness orientation experience, which is required of all Eagle Rock School incoming students. What follows is the traditional 24-day wilderness orientation. There, our new students participate in the camping and backpacking experience, as well as learning experiences related to leadership, teamwork, navigation/map reading, conflict resolution. The 24-day wilderness expedition also includes a solo experience as well as trail-building and maintenance projects. Finally, students in this class conduct a Wilderness Presentation of Learning and fulfill other obligations that carry over from the wilderness trip itself. Lifeguarding: This morning class offers students tools to obtain one of the most popular part-time jobs available for high schoolers throughout the country. Lifeguards generally earn good money, and Human Performance Center Adjunct Instructor Chris Iafrati is helping students take their swimming skills to new levels. Here, students are learning what is expected of a lifeguard, the components of a rescue, pool safety, risk management, and other essential rescue skills. Completing this class can lead to certification in First Aid and CPR with the Red Cross, as well as possible Lifeguard certification. Editor’s Note: A list and description of classes offered in the second half of this trimester will appear here in the next month or so. In addition to highlighting the classes in that post, we will be focusing on the Distribution Requirements portion of Eagle Rock School’s Individual Learning Plan. This entry was posted in Eagle Rock School Classroom and tagged 5 Expectations, An Nguyen, Becky Hammon, Brett Youngerman, Chris Iafrati, Cindy Elkins, Eliza Kate Wicks-Arshack, Individual Learning Plan, Jack Bynum, Jocelyn Rodriguez, Josán Perales, Kim Téllez, Lifeguarding, Meg Tokunaga-Scanlon, Melissa Seehausen, Miles Crabtree, Music, Power Standard, Sara Benge, Spanish, Tommy McAree, Zach Greimann.